We are committed to ensuring the highest standards of care in all our programmes and work with governments and communities to improve alternative child care systems. We believe that, whenever possible, children should grow up with their biological families. Despite the best efforts of authorities and SOS family strengthening, family breakdown is sometimes unavoidable. At such times, children need suitable alternative care until their family's circumstances improve enough for them to return home. Children who no longer have a living parent require long-term quality alternative care to support them in developing into independent adults. We promote and are guided by the UN Guidelines for the Alternative Care for Children to which we made key contributions in the development process. In line with the guidelines, we draw on our wealth of experience to provide and support a range of alternative care settings, because different children, different cultures, and different situations call for different care options. Every child deserves to grow up in a loving home. SOS Children's Villages has provided quality alternative care in a family environment for almost 70 years. We always put the needs, individual development and best interest of each child at the centre of our work. In line with the guidelines, we draw on our wealth of experience to provide and support a range of alternative care settings, because different children, different cultures, and different situations call for different care options. We promote and ensure quality alternative care. We work with governments, care professionals and other partners to help ensure that children's rights are fulfilled and every child has the best, most suitable care for their individual situation and needs. Through the ‘Leaving Care’ project we aim to train care professionals in how to apply a child rights-based approach in their work with young people leaving care and work to strengthen support networks for young care leavers. 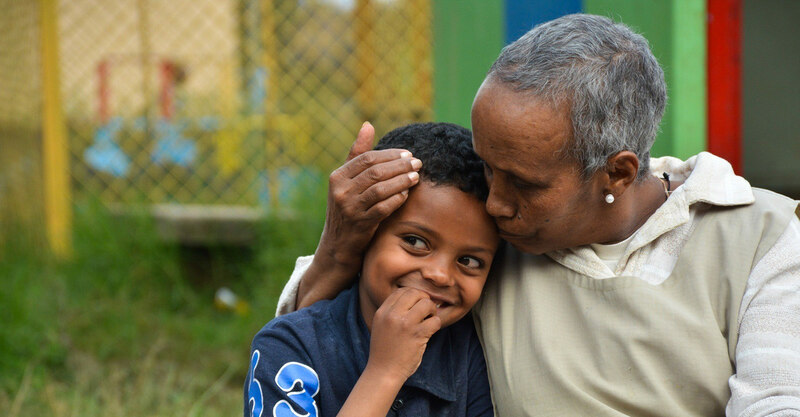 The European Commission awarded SOS Children’s Villages a grant to help care professionals in eight countries build their capacity to apply a child rights-based approach in their daily work with children.